Life insurance premium income up 9% in April-November - Corporate Risks India Insurance Brokers Pvt. Ltd.
MUMBAI: The life insurance industry reported 9% increase in overall annual premium equivalent in April-November, mainly due to volatile market conditions. The growth by supported by good show by large private sector companies. 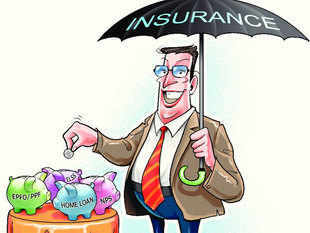 In the period, overall APE- a measure to normalise policy premium into the equivalent of regular annual premium- including individual and group business for private players was up 16% to Rs 1,25,563 crore and Life Insurance Corporation up 4% to Rs 1,50,456 crore.